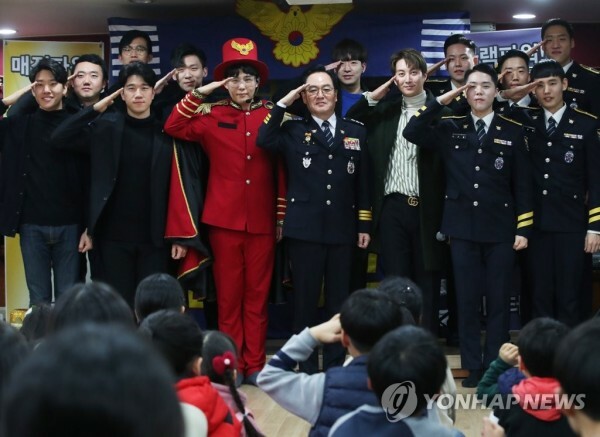 SS501's Kim Hyung Jun showed up at Gyeonggi South Police Promotional Unit's last concert on 28th Jan 2019, where he served his military service over the past 2 years. After 11 years since 2007, the police promotional unit has came to an end this Jan with its last concert held on 28th Jan at "House For Dreams". Even though Kim Hyung Jun was discharged in Dec 2018, he still shown up at the last concert with 8 other members who has also been discharged. 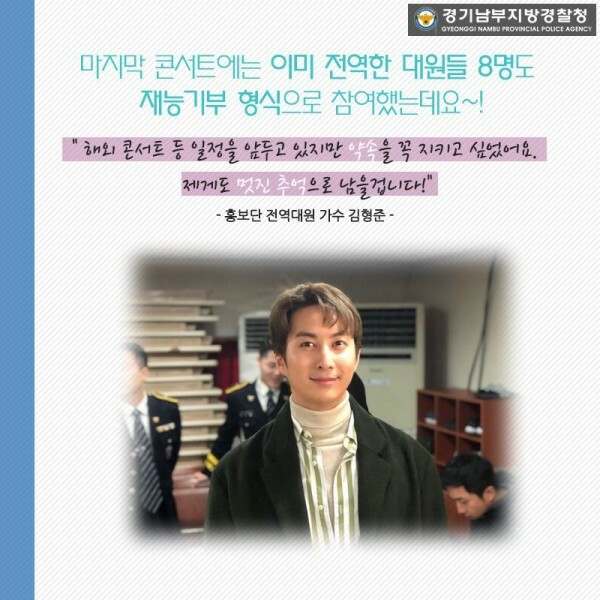 Kim Hyung Jun expressed that "Even though I'm currently busy with preparations for overseas concerts, but I want to keep my promise as a member of promotional unit" and "I wish today's performance can become a good memory for the kids". Photo by Yonhap News; Gyeonggi South Police Facebook Page.